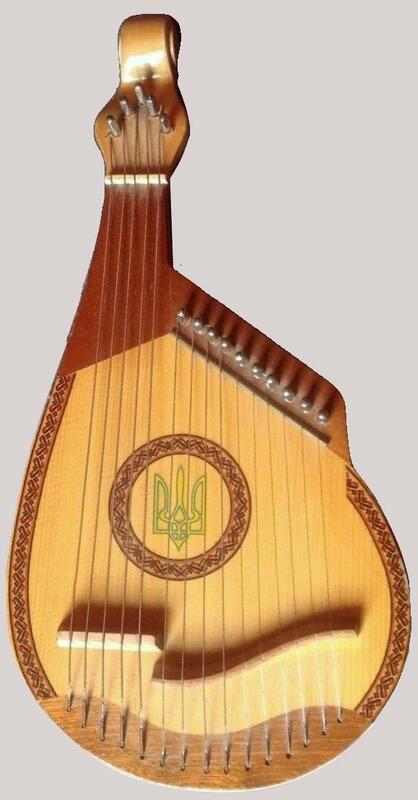 This is a small Ukrainian traditional instrument called Folk or Starosvitska Bandura. It appears, (if you believe wikipedia), to have had an long and varied history where it has been a symbol of Ukrainian Cossack nationalism whose popularity has waxed and waned with the relationship between the Ukraine and Russia. There have been historical massacres because of it in the bad times, and orchestras made up of different sizes of them in the good times. What I don't know however, is how to play it? Do you play chords on the longer neck bit? Do you strum it or pluck it? But no one bid against me in the ebay auction so I'll have a better idea when it arrives.